Forward-looking: Baidu, the technology giant that’s often called China’s Google, has started mass production of its self-driving buses. After building the 100th Apolong vehicle at its factory this week, the company is now preparing to deploy them in China and, eventually, other countries. The 14-seater mini-buses, which have no driver’s seat, steering wheels, or pedals, come with level 4 autonomy—one step below the highest-tier level five. According to the National Highway Traffic Safety Administration (NHTSA), the buses do not require a driver for an entire trip during select conditions. Level 5 allows full autonomy during all driving conditions, such as dirt roads and unusual weather. 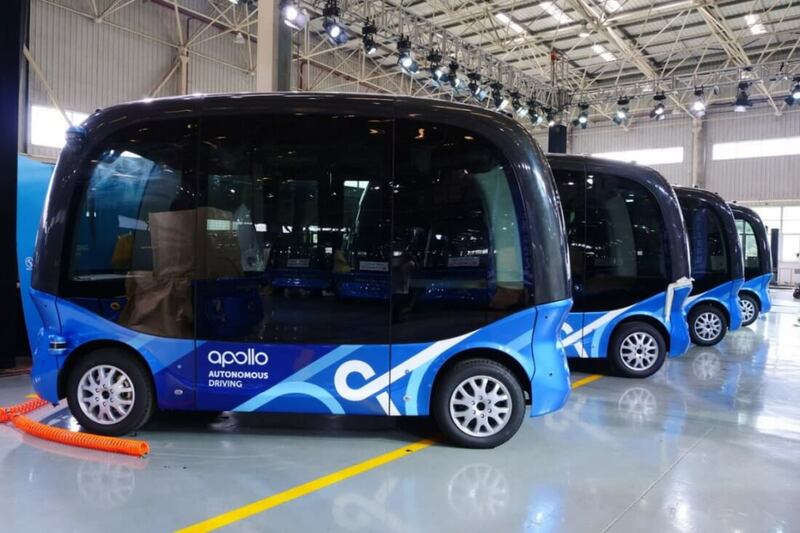 Developed alongside Chinese bus manufacturer King Long and powered by the latest version of Baidu’s ‘Apollo’ autonomous driving open platform, the vehicles will be put into commercial operation in several Chinese cities, including Beijing, Shenzhen, Xiongan, Wuhan and Pingtan of Fujian province. Initially, they will be used in tourist areas, parks, industrial campuses, airports, and other geo-fenced locations, reports Engadget. Baidu is also partnering with SB Drive, a subsidiary of investment firm Softbank that develops autonomous vehicles for public transport, to roll out 10 buses across Japanese cities in 2019. "2018 marks the first year of commercialization for autonomous driving,” said Baidu CEO Robin Li. "In the past, China exported cheap commodities to the world. In the future, China will export AI technology to the world." The company also announced updates to Apollo, including facial recognition tech that could, for example, identify tired drivers. It has also added support for valet parking.